A Lively French writer relates, that man having met the sheep wandering, like himself, upon the earth, caressed it, flattered it, and conducted it to his abode, sheltered it under a roof as rudely constructed as that which covered himself, carried it fresh grass for its food, and took care of it. But shortly, man demanded some milk of the sheep; soon after, he asked for a little wool; and, in the course of time, he killed it for its flesh. Having done all this, he melted down its fat to supply his lamp; and, finally, he wrote upon its skin. The ancients seem to have substituted the skins of animals, for papyrus and other articles, as a writing material, from a remote period. The origin of parchment was due to necessity, the inventive parent of so many of the arts and conveniences of life; the stimulant of man’s ingenuity, when he suffers under present difficulties, or when he anticipates increased comfort and convenience. Some accounts refer the invention of parchment to a distant period, while others maintain that the date of its invention is altogether lost, amid the troubled waves of the broad ocean of distant time. According to the former, Eumenes attempted to found a library at Pergamus, about two hundred years B. C, which was to rival the celebrated Alexandrian library. One of the Ptolemies, a king of Egypt, jealous of the success of the rival library, and manifesting a spirit which, in modern times, would be thought pitiful and intolerant, made a decree, prohibiting the exportation of papyrus. The inhabitants of Pergamus, no longer being able to procure the material on which to transcribe the manuscripts to which their writers had access, adopted the skins of animals, prepared in a peculiar manner, as a substitute. They formed their library of this material, which was named after their city, Pergamena; whence also, it is supposed, we get our modern term parchment. The modern Germans and Italians, however, retain the original term: in the former language it is called Pergament, and in the latter Pergamena. The ancient Latins also applied the term membrana to parchment. Some authorities, however, deny that parchment was first made at Pergamus; they state that the Hebrews had books written on the skins of animals in the time of David. According to Diodorus, the ancient Persians wrote all their records upon skins. It would appear, therefore, that King Eumenes was the improver, and not the inventor, of parchment. Dr. Prideaux imagines, that the authentic copy of the Law, which Hilkiah found-in the Temple, and sent to King Josiah, was written on parchment; because, he thinks, no other material could have been so durable as to last from the time of Moses till that period, viz. eight hundred and thirty years.’ But the Egyptians wrote on linen; which has been preserved on mummies for ages, and exists at the present day. It has, therefore, been suggested, that the copy of the Law of Moses might have been written on this material. At any rate, however, most of the ancient manuscripts which remain, are written on parchment; and bat few on the papyrus. Herodotus, however, who lived about four hundred and fifty years B. C, relates that the Ionians, from the earliest period, wrote upon goat and sheep skins, from which the hair had been scraped, without any other preparation. Our parchment makers are very skilful. Our parchment restorers are not less so. Some parchment has been restored three or four times, and has successively received the verses of Virgil, the controversies of the Arians, the decrees against the books of Aristotle, and, finally, the books of Aristotle themselves. Parchment is like an easy man, who is always of the same opinion as the last speaker. The preparation of parchment is by no means a pleasant or cleanly operation. Our readers may, probably, have seen carts loaded with sheep-skins proceeding from large markets, or in the vicinity of slaughter-houses. These skins are bought of the butcher by the parchment-maker, in order to prepare, from them, the material in which he deals. The skins are first stripped of their wool, which is sold to the wool merchant, who prepares it for the making of cloth, &c. They are then smeared over with quick-lime on the fleshy side, folded once in the direction of their length, laid in heaps, and so left to ferment for ten or fifteen days. The skins are then washed, drained, and half-dried. A man called the skinner stretches the skin upon a wooden frame. This frame consists of four pieces of wood, mortised into each other at the four angles, and perforated lengthways from distance to distance, with holes furnished with wooden pins that may be turned like those of a violin. 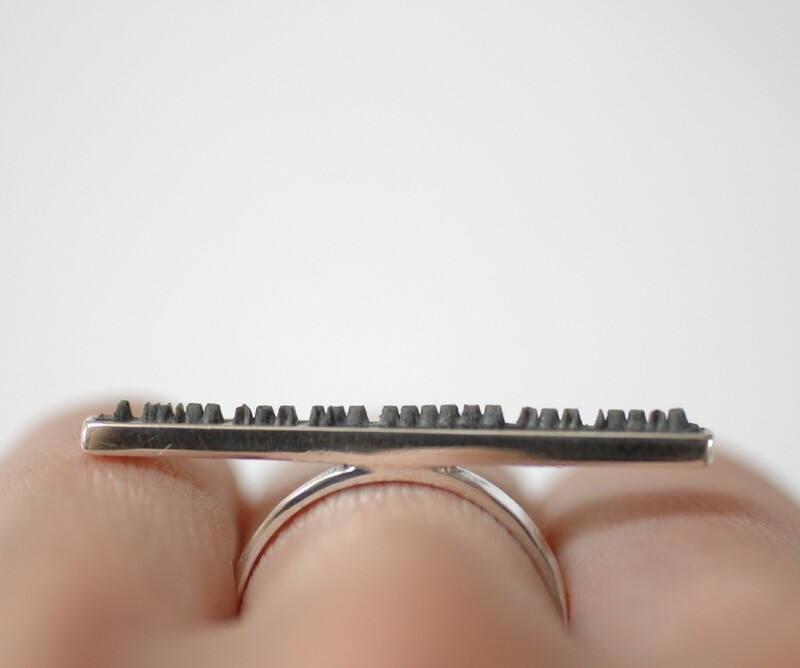 The skin is perforated with holes at the sides, and through every two holes a skewer is drawn : to this skewer a piece of string is tied, as also to the pins, which being turned equally, the skin is stretched tight over the frame. The flesh is now pared off with a sharp iron tool, which being done, the skin is moistened and powdered with fine chalk: then, with a piece of flat pumice-stone, the remainder of the flesh is scoured off. The iron tool is again passed over it, and it is again scoured with chalk and pumice-stone. The scraping with the iron tool is called draining; and the oftener this is done, the whiter becomes the skin. The wool or hair side of the skin is served in a similar manner; and the last operation of the skinner is to rub fine chalk over both sides of the skin with a piece of lambskin that has the wool on: this makes the skin smoother, and gives it a white down or knap. It is left to dry, and is removed from the frame by cutting it all round. The parchment-maker now takes the skin thus prepared by the skinner. He employs two instruments; a sharp cutting tool, sharper and finer than the one employed by the skinner; and the summer, which is nothing more than a calf-skin well stretched upon a frame. The skin is fixed to the summer; and the parchment-maker then works with the sharp tool from the top to the bottom of the skin, and takes away about one half of its thickness. The skin being thus equally pared on both sides, it is well rubbed with pumice-stone. This operation is performed upon a kind of form, or bench, covered with a sack stuffed with flocks; and this process leaves the parchment fit for writing on. The paring of the skin in its dry state upon the summer, is the most difficult process in the whole art of parchment-making; and is only entrusted to experienced hands. The summer sometimes consists of two skins, and then the second is called countersummer. 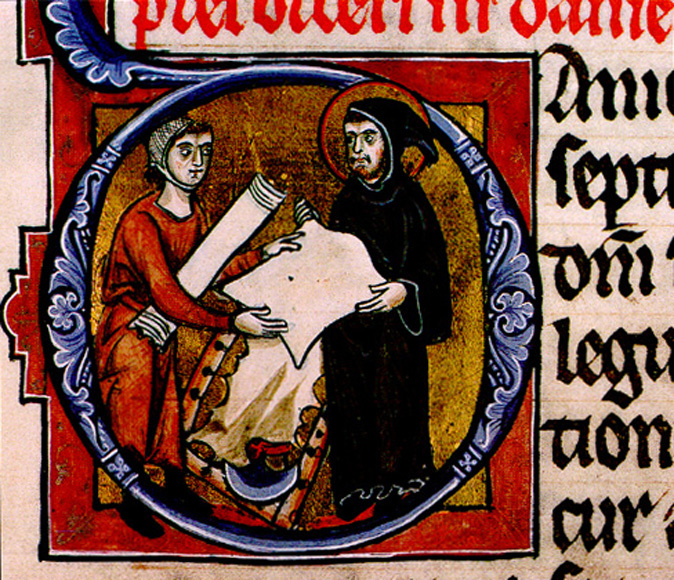 The parings and clippings of the skin in the preparation of parchment are used in making glue and size. Vellum is’a kind of parchment made from the skins of young calves: it is finer, whiter and smoother than common parchment, but prepared in the same manner, except that it is not passed through the lime pit. Parchment is coloured for the purposes of binding, &c. The green dye is prepared from acetate of copper (verdigris), ground up with vinegar with the addition of a little sap green. Yellow dye is prepared from saffron; a transparent red from brazil wood ; blue from indigo, ground up with vinegar ; black from the sulphate of iron and solution of galls. Virgin parchment, which is thinner, finer, and whiter than any other kind, and used for fancy work, such as ladies’ fans, &c, is made of the skin of a very young lamb or kid. This is my nickel’s worth of thoughts on the Giller controversy (written under the firm scarlet bias of a former Gaspereau Press employee). And this is prefaced with as much congratulatory whoop for Johanna as it is possible for one person to produce. I defy anyone who says Gaspereau Press doesn’t care about or stand by their authors. Working there kinda felt like you cut up a bit of yourself and laid it on the press. That might sound romantic, but it’s not. It’s a by-product of a business that is more than a business. It’s what happens when something becomes a living breathing interconnected part of the community, both writerly and local. It was more than just a job. What they produce is more than just a book. As publishers they are fundamentally engaged with the entire process of a book from start to finish. This is remarkable and unusual but it shouldn’t be. Part of the controversy seems to boil down to a conflict between art and craft (probably Art and Craft in capital letters, all high and mighty). It illustrates the problem of an age where the book is seen not as an end in itself but a vehicle, a corpse-like vessel for a writers’ work. But the art of the book (typography, printing, binding, editing, design) is about more than just production. Johanna’s writing is excellent and she deserves to have a book appropriate to the calibre of her work. I could argue from my perspective as a book conservator. A typical ‘perfect-bound’ book cuts the back off the book’s sections and holds itself together primarily with its glue. The pages are poor quality greyish wove, all scratchy, and smelling of lignin. Some major publishers in Canada use paper that’s barely a half-step over newsprint. A Gaspereau Press book uses decent quality paper, is sewn, and then perfect-bound. Structurally, that’s a momentous degree of difference. A distinction between girdered metal and a rickety cartoon bridge. Most of the online discussion talks about how beautiful a Gaspereau book is(often as a prelude to the word “but”). This misses the point almost entirely. A Gaspereau Press book is not simply a fetish object, a ‘beautiful book’, a ‘collector’s item’. It could be those things. But it is also supremely functional and ultimately, it is a product of careful consideration and thought. Not just for aesthetic reasons but because the book is a holistic product. This marks the first time that a book has simultaneously won the Giller and an Alcuin award for book design. At this year’s BookCampTO, there was a presentation on the book as fetish object that featured work by a firm that prints and binds for larger publishers. They were lovely simple clamshell boxes and hardbound books. But people handled them like they were made of precious gold. This felt like a major problem to me. This was a room full of writers, publishers, publicists, media consultants, booksellers, etc, all deeply embedded in the principles of selling and making books. And they were agog over a clamshell box. The drooling over the hardcover books was also baffling to me given that most modern hardcovers are held together without sewing and they have about as much structural integrity as the much maligned paperback. Just with a heavier cover. It suggests to me a fundamental lack in cultural literacy even within the book publishing establishment about what a book is, what it is capable of, and the parameters from which it came. There are publishers that do not even check the grain of their paper stock. Show those books to me in twenty years and I guarantee they’ll have pulled out of their ‘perfect’ binding, particularly as the glue ages and brittles. Sure, we want to buy something simple, we want to buy something easy, something that can be quickly labelled and shelved in a neat little pile and off-loaded on the consumer. We want to eat McNuggets. Sometimes maybe it might be a good idea to absorb something of value, something of worth, not because it is easy or quick but because it isn’t. Because it takes time and thought and a whole lot of work. What do we admire about a Gaspereau book, and do we really only admire those qualities if they are convenient? Some writers seem to assume this kind of attention to detail is a nice frill. I think there’s an assumption that there’s a premium on beauty: a luxury tax. We expect too little. Wouldn’t it be appalling if we wrote the way GP is being told to produce their books? Conveniently. Without due care. Without consideration. Do we only write what is easy? Why should an author settle for less than what their writing deserves? How ultimately self -defeating. We should value ourselves and our work enough to demand more, to learn more, to throw down a flag or two. I’m not a Luddite. I like e-books. I love the dips of research made possible through this flickery box. I love books in all their forms. I don’t think books should be hallowed or held under bell jars. A book is a functional piece of joy. Or at least it should be. And in the case of a Gaspereau Press book: it is. Johanna deserves every bit of good that comes her way through this win. Order her book because it’s worth the wait. Buy it as an e-book now if you can’t wait to read it. Hard to say how this might be resolved in the coming weeks but it felt important that I say this loudly: I don’t believe for a fraction of a second that Gaspereau doesn’t care about their authors. My impression as a former employee and a friend is that they do pretty much naught else. Any support you can offer to keep the show going would be greatly appreciated. Pledges can be called in from 8am-10pm until Nov 7th at (613) 520-3920 or (1) 877-520-3920 and you can make a secure online donation as well: https://www.ckcufm.com/secure/pledge/ . If you (wonderfully, graciously, beautifully) pledge, please be sure to indicate that you’re pledging in support of Literary Landscapes! There’s a space at the top of the online pledge form and/or you can tell the human on the pledge lines.